Italy is a must visit European country which has so much to offer. As a Muslim traveler while asking yourself “What are the best sights to see?” or “The most fun things to do?”. You will also wonder if there is any Halal food in Italy? You are in luck because Italy has good halal restaurants in every major city! However, there are some precautions to note in the Italian food ingredients. In this article, I shall list the top halal restaurants in 4 major Italian cities. I shall also share some tips on ordering food in Italy as a Muslim. The capital city has so much to offer. Muslim tourists are spoilt for choice when searching for Halal food in Rome. Located in the city center, you will find Himalaya’s Kashmir. It’s a dazzling restaurant with striking aesthetics that give it a luxurious ambiance. Himalaya’s Kashmir serves as a fusion of Indian-Pakistani cuisines. Dishes such as lamb or zucchini curry, tandoori chicken, and freshly made naan bread. They also offer vegetarian dishes. This restaurant is perfect for all occasions and party sizes. Check out their site for more information. Shawarma station is a small Lebanese restaurant in the city center. They serve well-seasoned skewered meat, hot rice, warm pita and fresh vegetable mix (taboule). All for an affordable price. Shawarma station is great for a quick stop before or after exploring Rome’s tourist sites. Halal Italian Food in Italy! sign me up! Searching for an authentic Italian food with halal meat and no alcohol is very rare to find. Pizzeria Luna Caprese is Godsend. Enjoy freshly made pizza of different toppings, pasta, spaghetti, and lasagna with ANY type of meat. The food at Pizzeria Luna Caprese is permissible for all Muslim tourists. Vegetarian options are also available. This is another Italian restaurant in a great location. Pastificio Guerra is more of a vegetarian-friendly restaurant than a halal restaurant in Rome. The food served here includes pasta, pizza etc. Halal food in Milan does exist and Italy’s business capital isn’t short of it. Kashmir is located in the heart of the city’s center. It is an Indian restaurant serving halal food in Milan, you’ll find yummy lamb biryani, chicken masala, warm naan, beef ball curry and many more. Travelers have coined it as the best Desi food in Milan. Stop by to find out for yourself. Another halal restaurant located in Milan’s center. A visit here means enjoying home-made falafel, fresh baba ghanoush with mixed gyro meat by the side, warm rice, french fries and many more dishes that would make your mouth water. Wherever you turn your head, you’ll find a Halal food spot in Venice. This halal restaurant serves meals from many countries in the Middle East and South-East Asia. Here you find can the best national cuisines like Mujaddara, Burgul, Biryani, Sabzi Palak, Bamieh, Korma etc. Explore Orient Experience for yourself and have your taste buds get excited. In the words of a trip advisor tourist, Quanto Basta is the perfect spot for halal kebab and pizza! 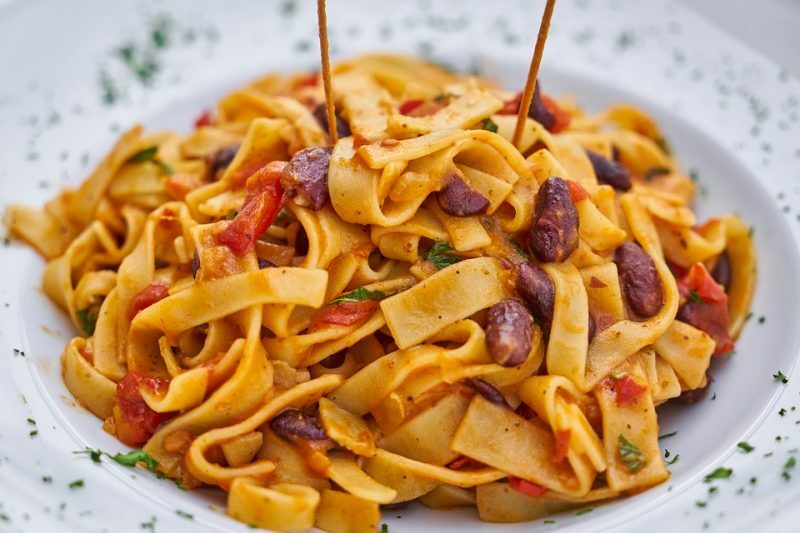 This halal restaurant offers meals from spaghetti with pesto, spaghetti and tomato sauce and shredded parmesan cheese, bolognese pasta, pizzas with varied toppings, falafel and many more. Come to Quanto Basta hungry! A fancy Italian restaurant located close to the famous Accademia bridge. It isn’t necessarily a halal restaurant but you can request for halal and vegetarian food here. Let your taste buds dance to the scrumptious freshly made mozzarella cheese, roasted tomato and spinach salad, or sizzling spaghetti and seafood salsa. The food options at Beccafico are in abundance. Halal food in Florence isn’t as abundant as other major Italian cities. Gusta Pizza is a major tourist attraction in itself. A must visit for foodies. This pizza restaurant became more popular after Anthony Bourdain highlighted it in his show. Although they don’t serve Halal food here, there are many vegetarian pizza options to choose from. At Gusta Pizza, you can find pizza with tomato and mozzarella toppings, tomato, basil, oregano, and parmesan toppings and many more. Don’t leave Florence without eating at the restaurant with the best pizza in Florence! One of the best Halal restaurants in Florence, you can find crunchy samosas with generous veggie and meat fillings, chicken biryani, vegetable chapati and much more! Skip meat sauces (ragu) or pasta stuffed with meat sausage dishes. Most of these meats include pork in them. Some soups (minestrones, bean soups etc. may include pork products such as prosciutto). Risottos may have some pork cooked into the stock. If unsure of the food content, order fish, seafood (if your guest can eat it), cheese or pumpkin filled pasta, salads, sauteed vegetables etc. There will be plenty of choices available in Italy. Pork fat is less frequently used in cooking in Southern Rome as it used to be. It is now replaced with olive oil. However be careful! Traditional Italian dishes like pasta al’amatriciana, or carbonara, for example often include pork fat. Like this post? Pin or save it for later! MILAN: Kashmir, Mildo Ristrorante Arabo. VENICE: Orient Experienc Cannarggio, Quanto Basta, A Beccafico. FLORENCE: II Gusta Pizza, Pak Halal Kebab.